Who's Rob? Find out here. 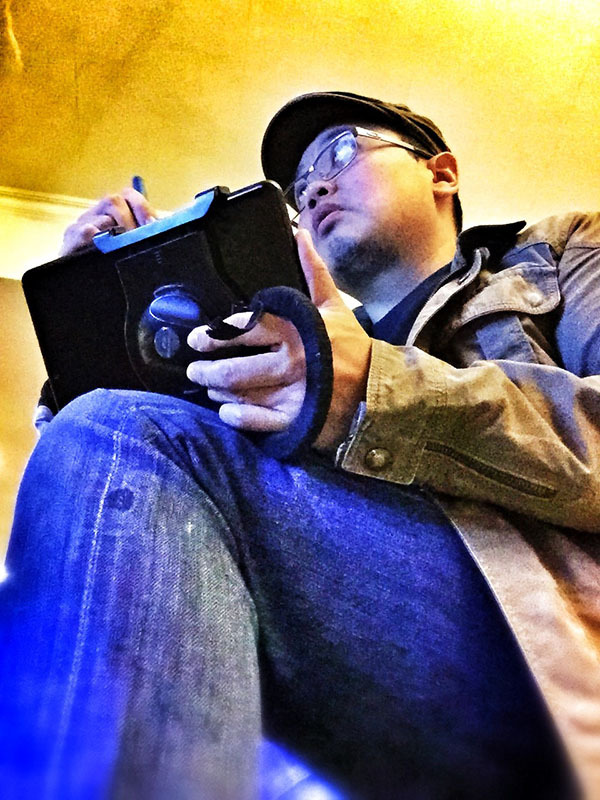 I am a Hong Kong artist who uses the iPad Pro as my exclusive medium of choice, and am most known for my urban sketching works. Through direct observation, I record life around me as it happens, whether it's a building about to be demolished, or a festival in full swing. The immediacy of witnessing, distilling, processing and recording what I see gives my work life, and I love that the results are approachable and can be appreciated by anyone. It is both representational and metaphorical. See what you want in it. ...and is that your real name? I thought you were a Drawer! Long story short, I was sketching one afternoon on Hollywood Road, looking up Elgin Street in Central, Hong Kong, when a little boy came up behind me and watched wordlessly for many minutes. "What are you doing?" he asked politely, out of the blue. I thought it was obvious, but being accustomed to using the word 'sketch', I replied, "I'm sketching," thinking he would then ask me why I was sketching the scene in front of me, and we might chat about hobbies or something. "Oh...! You're a Sketcher Man! I thought you were a Drawer," he said, then bolted off, leaving me a little bewildered with visions of furniture. Then something clicked. Sketcher Man... let's face it. I'm short and kinda round. 'Sketcher Man' suddenly brought back every comic book I'd ever read, and every super power I wish I had. The kid called me Sketcher Man and suddenly, I felt the buttons of my shirt pop in a Superman pose (in my head anyway). And thus was born Sketcherman (after I grabbed the URL of course). Plus it's easy to remember and makes people smile. And that's good enough for me. Before we get into that, let me give you a little background. I've been told by my dear Mom that I've drawn pretty much all my life. I learned from borrowed and discarded comic books. Superman taught me anatomy and Spidey, dynamic poses. My textbooks crawled with scrawled superheroes of all sorts, much to the consternation of my teachers. I was a non-atheletic geek who didn't quit fit in anywhere, but I could draw and I loved it. Interestingly, I never really learned to draw from life. I used photo references and didn't think anything of it. Then I joined my first life drawing session and was mesmerized by the moving sculpture that was the human body. Thinking initially that it would be awkward to see a naked person pose, I discovered that the whole experience wasn't in the least bit sexual. It was in fact, more scientific. How do muscles join and move under skin? Why do bones stick out that way? The sessions weren't guided, but a brief sojourn with bodybuilding in my youth meant I understood some fundamentals of the human figure (albeit the more muscle-bound kind). Friends I had made at life drawing then introduced me to the concept of drawing even more stuff from life. Buildings. Piping. Classic cars. A pile of trinkets on sale on a table. I never had either patience or interest for any of these subjects before, preferring to float my human figures in the barest of backgrounds. For some reason however, this act of sitting with my new arty friends and observing, then recording what I saw was so fun! Being an urban sketcher has totally changed me and my outlook on life, and I'm thrilled to share this fervor with like-minded people around the globe. I've found that it has made me more patient, more observant, and definitely more tuned into what's happening around me. I'm glad to say that most sketchers who take up urban sketching have found the same bliss. 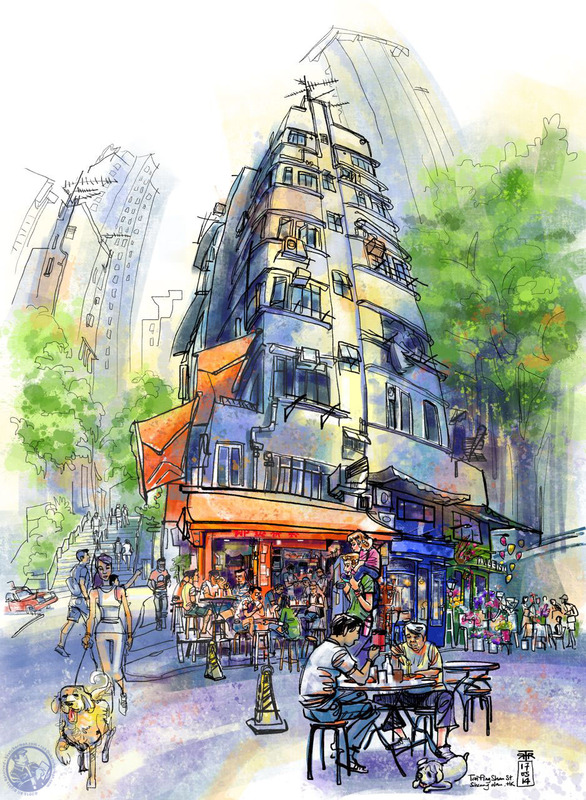 Full disclosure, I'm also one of the administrators of Urban Sketchers Hong Kong. If what you've read and seen sounds interesting to you, look us up on Facebook and join a sketchcrawl!